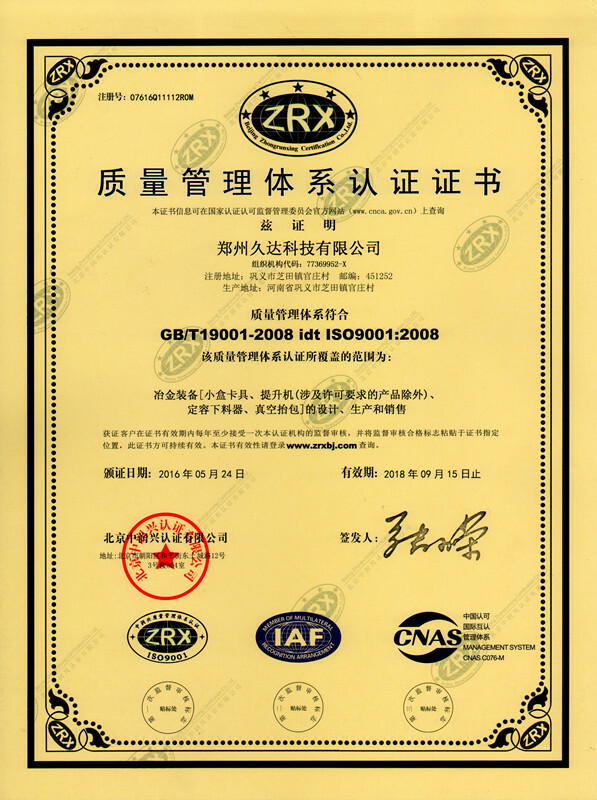 Company Overview - Zhengzhou Joda Technology Co., Ltd.
3YRSZhengzhou Joda Technology Co., Ltd.
Zhengzhou Joda Technology Co., Ltd. is a modernized comprehensive enterprise integrating research, manufacture, export and technical service of various types of equipment for aluminium smelters all over the world. The scope of supply covers the complete range of R&D, consulting, feasibility studies, design, engineering, manufacturing, shipping, installation, commissioning, training and after sales services. Our products mainly include aluminum equipment for aluminum smelters, such as Automatic Anode Jacking Frame, anode jacking mechanism, ladles, anode clamps, anode yokes, pot-shells and superstructures, and aluminum panel for aluminum curtain wall, such as Nano Coating Aluminum Panel, Vacuum Thermal Printing Aluminum Panel,Combined Shape of the Suspended Ceiling etc. 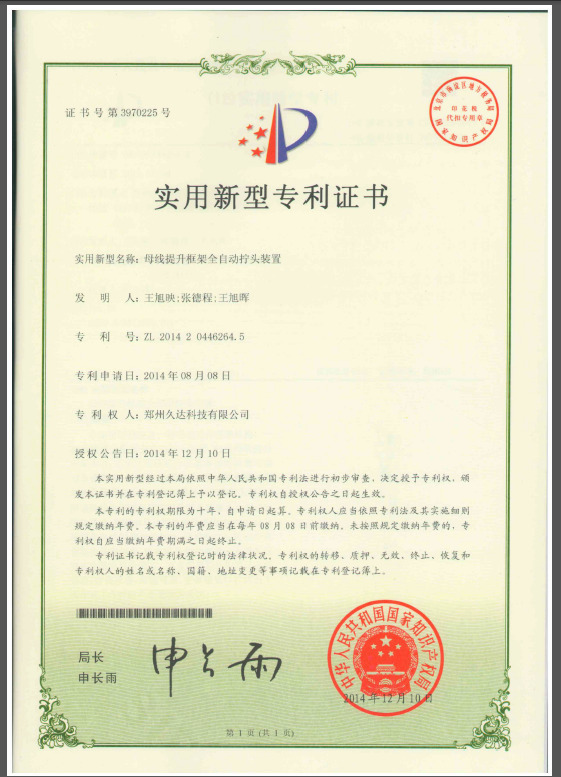 We are the biggest professional manufacturer for aluminium equipment and also for aluminium panel in central China. 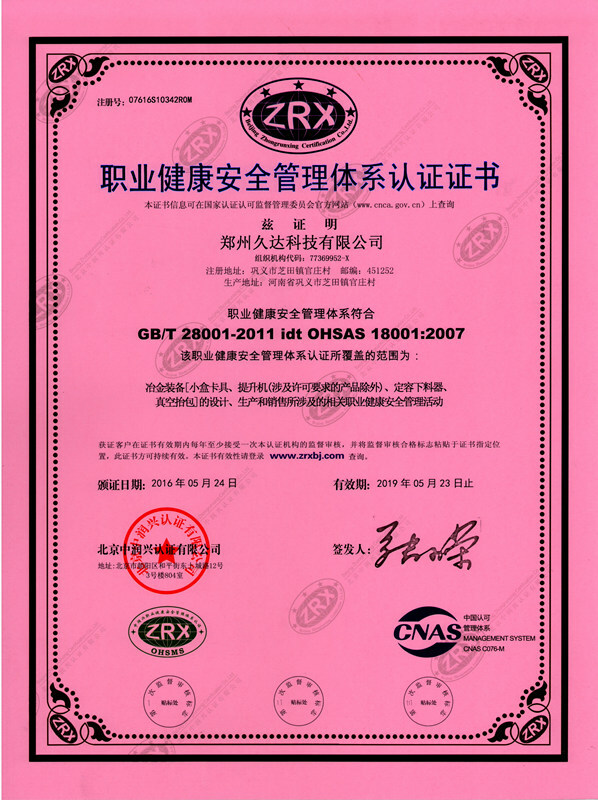 Beijing ZhongRunXing Certificate Co., Ltd.
Design, Production and Sales of Metallurgical Equipments [Anode clamps, Anode Jacking System (except the products need special permit), Point Feeders and Ladles] and its relative established occupational health and safetymanagement activity. 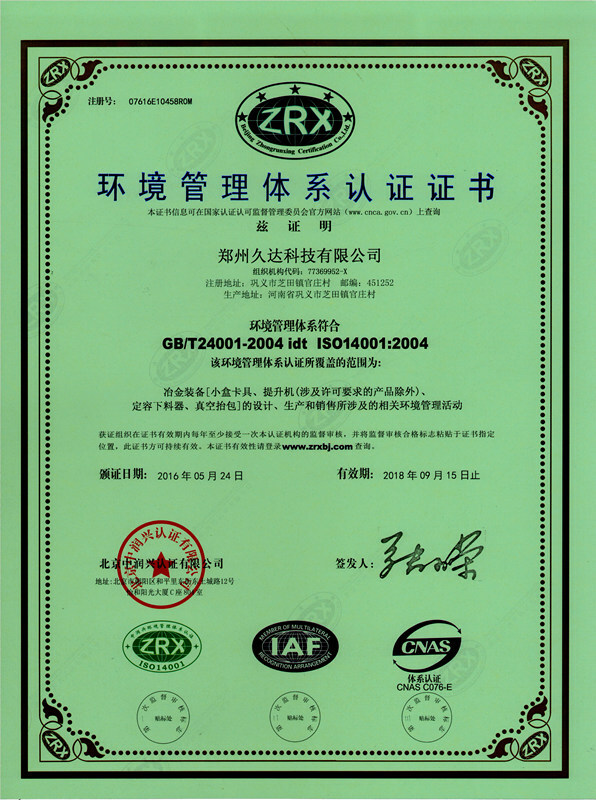 Beijing ZhongRunXing Certification Co., Ltd.
Design, Production and Sales of Metallurgical Equipments [Anode clamps, Anode Jacking System (except the products need special permit), Point Feeders and Ladles] and its relative enviroment management activity.